Perhaps the most beautiful and photographed castle in Scotland. 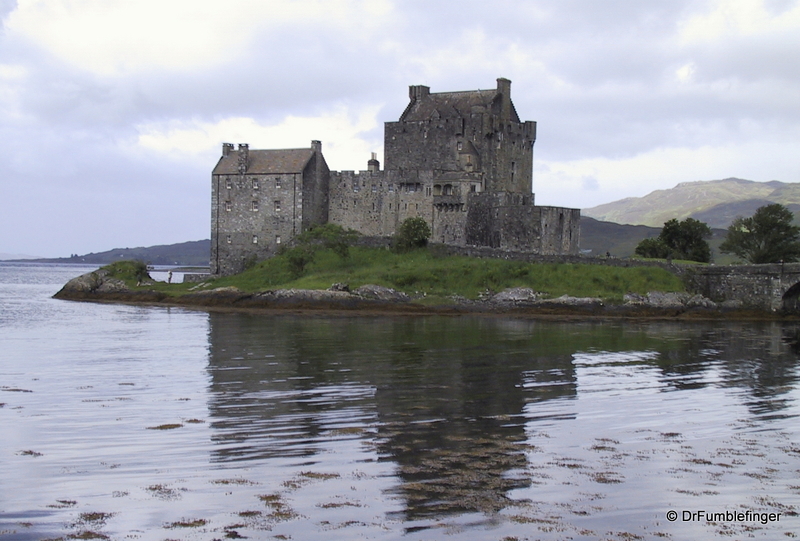 You’ve likely seen Eilean Donan before in movies such as “Highlander“. Castles have stood on this island for over 1500 years, although this newest version was partially destroyed in a Jacobite uprising in 1719. The castle was restored in the early 20th century and is now a popular tourist attraction. The weather when we visited in was typical of the Scottish Highlands in summer. Cold, windy and wet. Still, I found the tranquility and beauty of the place to be captivating. The image, to me, captures the essence of the Highlands.